I saw this story shared on another website and thought I would share as well. This couple is doing an awesome thing to honor their baby by giving to others who experience the same type of loss. This couple started this amazing program called Held Your Whole Life in which they send a hand stamped necklace or keychain to families who have survived the loss of their baby in the womb through miscarriage or stillbirth. They stamp these pieces with the baby's name and or special date. 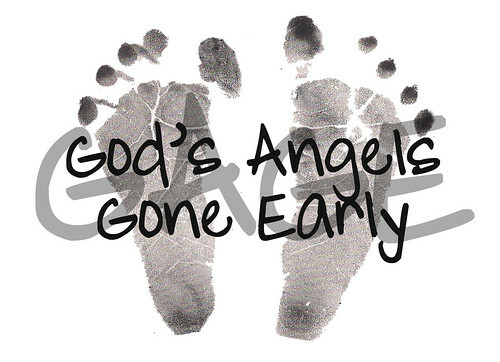 You can visit their website for more information and to request your own special necklace in remembrance of your own angel. You can find their website, Held Your Whole Life, here.